List, as its name indicates, is an ordered sequence of elements. When we talk about List, it is a good idea to compare it with Set which is a set of unique and unordered elements. The following is the class hierarchy diagram of Collection. 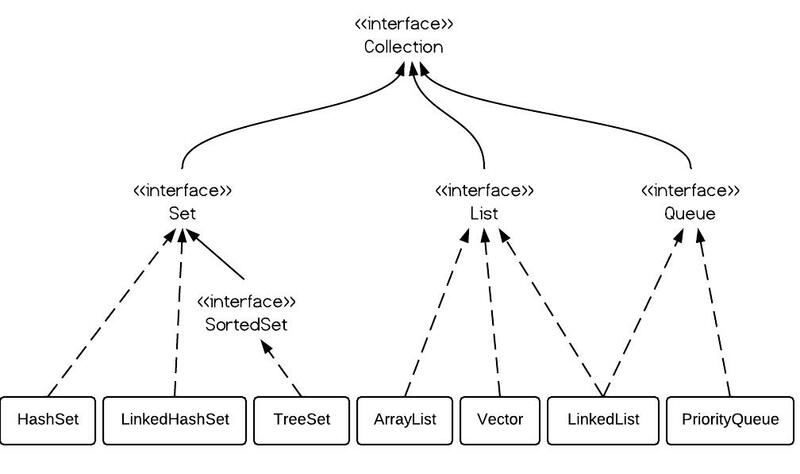 From the hierarchy diagram you can get a general idea of Java Collections. From the hierarchy diagram, they all implement List interface. They are very similar to use. Their main difference is their implementation which causes different performance for different operations. ArrayList is implemented as a resizable array. As more elements are added to ArrayList, its size is increased dynamically. It's elements can be accessed directly by using the get and set methods, since ArrayList is essentially an array. LinkedList is implemented as a double linked list. 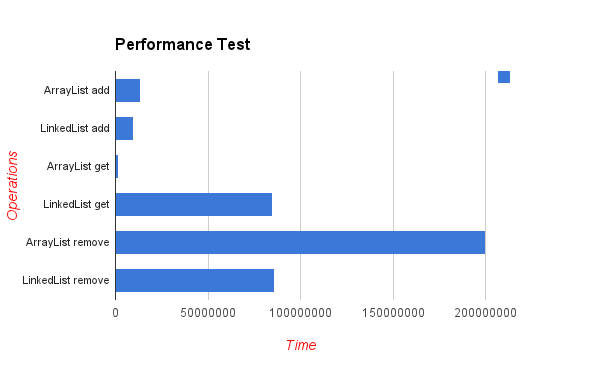 Its performance on add and remove is better than Arraylist, but worse on get and set methods. Vector is similar with ArrayList, but it is synchronized. ArrayList is a better choice if your program is thread-safe. Vector and ArrayList require more space as more elements are added. Vector each time doubles its array size, while ArrayList grow 50% of its size each time. LinkedList, however, also implements Queue interface which adds more methods than ArrayList and Vector, such as offer(), peek(), poll(), etc. Note: The default initial capacity of an ArrayList is pretty small. It is a good habit to construct the ArrayList with a higher initial capacity. This can avoid the resizing cost. ArrayList has O(n) time complexity for arbitrary indices of add/remove, but O(1) for the operation at the end of the list. LinkedList has O(n) time complexity for arbitrary indices of add/remove, but O(1) for operations at end/beginning of the List. How to Check if an Array Contains a Value in Java Efficiently? I just run the given program and found unexpected result in case of add element in arraylist and linkedlist. Add in linkedlist taking much time then array list. I was amazed looking the results. So I run only add section removing other (get, remove), getting expected result. (i.e. – linkedlist is faster in adding the element then arraylist). yes but you haven’t tested add(int index, E element). This is much faster in LinkedList O(1). It isn’t obvious. You didn’t mentioned which Java version did you use for the benchmark. It was true in Java 1.5 and under. The magic what happens is called bytecode optimalization. Java is fast today. not bad…gonna look into this later! This article is very benefit. Thank you. Just boning up on Java, coming back to it after a long hiatus when working in C/C++. Adding to an array one element at a time is of course going to be slow, as the system must find storage for the size of the existing array +1. This isn’t a very smart approach to using extensible arrays, or anything for that matter. Why not allocate arrays arbitrarily large with a constant or statistically managed chunk size so many elements can be appended onto the array before any additional memory needs to be allocated? If you’re on a machine with enough resources to run Java (instead of C/C++) the you can spare the temporarily unused memory, so why not use this approach? under 6. in the time complexity table array get() vs list get() is the wrong way around. Thanks a lot for this article, it was very helpfull. and LinkedList. It has been designed as drop-in replacement for both ArrayList and LinkedList and therefore implements both the interfaces List and Deque. GapList’s implementation guarantees efficient random access to elements by index (as ArrayList does) and at the same time efficient adding and removing elements to and from head and tail of the list (as LinkedList does). You find more information about GapList at http://java.dzone.com/articles/gaplist-%E2%80%93-lightning-fast-list.